Being that Cordell Bank National Marine Sanctuary is offshore and out of reach for most of us, the sanctuary provides support and/or educational resources to several institutions in the region. 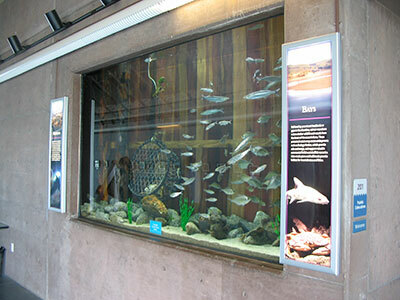 Wayside panels, full exhibits, and live aquaria allow visitors to explore this hard to reach place. 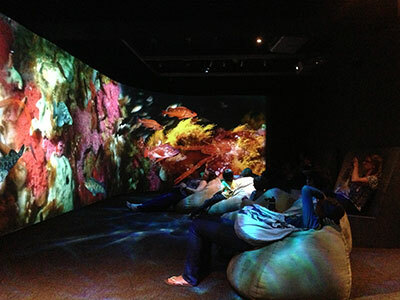 The Oakland Museum of California’s Natural Science Gallery has an entire wing focused on the rich and unique Cordell Bank ecosystem. 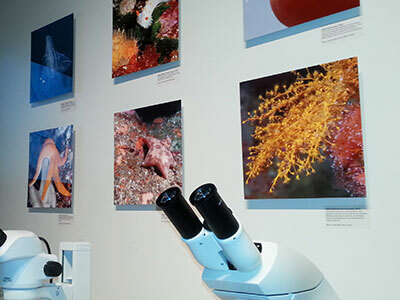 The exhibit features an immersive video room, life like models, specimens and microscopes to look close up and interactive stations. For information about visiting, click here. 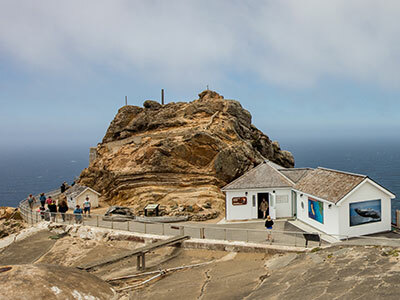 The Center is the main visitor center in the Point Reyes National Seashore and includes a ranger information station, a NOAA-Science on a Sphere exhibit and, highlights Cordell Bank and Greater Farallones national marine sanctuaries. 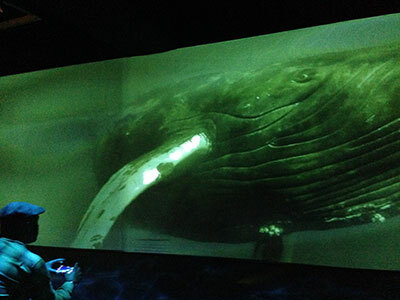 Whales, tidepools, sandy shores and seabirds are some of the topics you can explore through dioramas, video, mounted specimens and wildlife models. For hours and location, click here. While visiting the edge of California, gaze out over the mighty Pacific Ocean at the historic Point Reyes National Seashore Lighthouse. 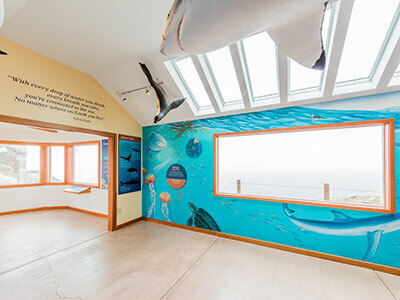 The Ocean Exploration Center is attached to the Point Reyes National Seashore Lighthouse visitor center and opens up the underwater world to visitors to share what lives below and above the waves in the Greater Farallones and Cordell Bank national marine sanctuaries. Wall to wall murals, life like models and panoramic views of the sanctuaries can be enjoyed from the comforts of inside. When the weather is whipping outside, this center is a sanctuary to witness the wild weather that frequents the Point Reyes headlands. Ask the park ranger about junior ranger opportunities, talks and lectures offered at the Seashore! For hours and location, click here. 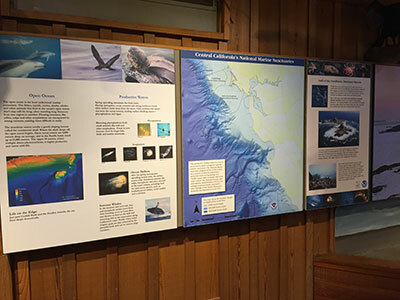 As you enter the Bodega Marine Lab, the corridor features exhibit panels about Cordell Bank and Greater Farallones national marine sanctuaries as places for research. 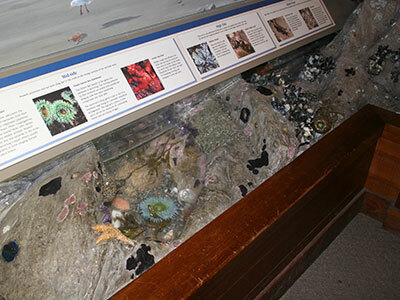 There are large habitat tanks that feature the habitats of Cordell Bank and Greater Farallones with id guides and information about them. For info on visiting Bodega Marine Lab, click here. 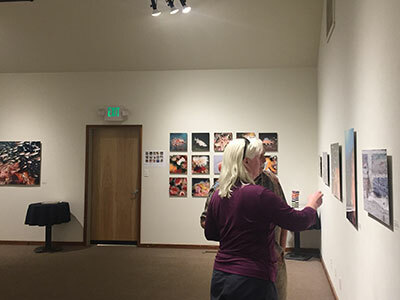 “A National Treasure, A Local Jewel” is traveling exhibition that features images of species that exude the dynamics and beauty of the sanctuary. There are over 40 images of varying sizes printed on dye infused metal. 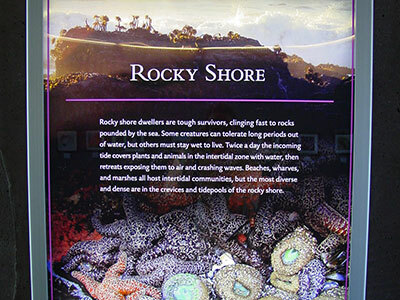 The images depict invertebrates, fishes, seabirds, marine mammals, and vibrant rocky reefs that makes Cordell Bank so unique. The photos were taken by an assemblage of researchers doing studies at Cordell Bank. To see where the exhibit is currently on display, visit our calendar page.